Stay in Naxos's best hotels! Polis Boutique Hotel offers rooms in Naxos Chora near Naxos Castle and Portara. Excellent service and staff and owner super friendly. The room is spacious and comfortable. Highly recommend it! Centrally located in Naxos Town, Hotel Xenia is just steps away from shops and restaurants. It features free Wi-Fi and tastefully decorated rooms with a balcony. The beach is 1148 feet away. This place is absolutely amazing! Located right on the beach of Agios Georgios, the 5-star Nissaki Beach Hotel offers boutique-style accommodations following the minimal Cycladic style. Lovely boutique hotel, fantastic location. On Agios Georgios Beach, just 656 feet from Naxos Town, Hotel Palatia features rooms with a balcony overlooking the Aegean Sea or mountains. The hotel offers breakfast and free Wi-Fi. We loved the location and the staff. 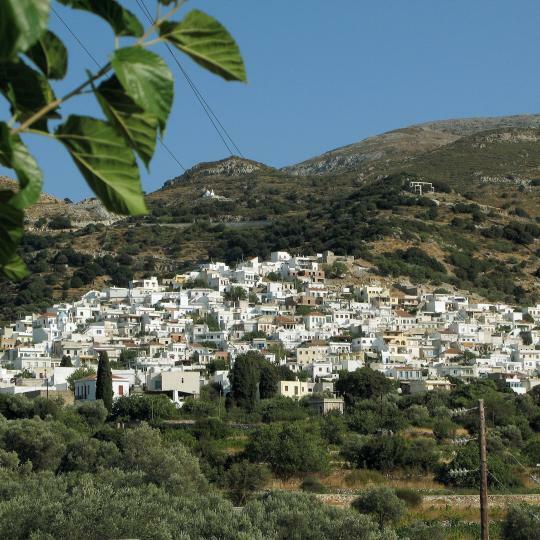 In Naxos's historic quarter, 1300 ft from Agios Georgios Beach, Anixis offers free Wi-Fi. Rooms’ balconies overlook the Aegean Sea or the castle. The staff was wonderful and very helpful. The breakfast is well worth the extra cost. Just 33 feet from the beach, this award-winning hotel enjoys a beachfront location on the spectacular Agia Anna Beach, one of Naxos’ most popular sandy beaches. Ms. Poppy and her staff are amazing and make you feel so welcomed. They are very accommodating. Breakfast was wonderful every morning. Didn't have an ocean view but didn't matter as we didn't spend very much time in the room. 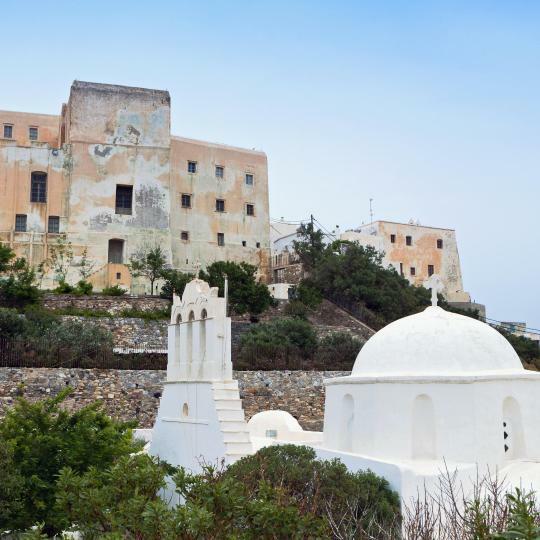 Saint Vlassis is located in a quiet and peaceful area, only 2297 feet from the center of Naxos Town and 1312 feet from the sandy beach of Agios Georgios. My husband and I spent 2 days at the St. Vlassis. Upon arrival, we were met by an extremely kind employee who checked us in and gave us an informative orientation. He carried our bags up to our room and showed us around explaining how to use the AC, etc. In general, the hotel staff is extremely warm, professional and kind. They all introduced themselves to my husband and I- and were more than happy to recommend restaurants, activities, etc. Most mornings I wasn’t hungry but the hotel offers a continental breakfast which looked delicious. One notable event that took place was after departing the hotel, the St. Vlassis informed me I had forgotten my wallet. I was very impressed how the staff handled the situation. I was assured to not worry and that they would get it back to me. The manager, Konstantinos, emailed several options to me and ultimately mailed it back to me in the USA. The St. Vlassis offers wonderful hospitality and is an exceptional place to stay. I would absolutely recommend anyone to stay their while they are visiting Naxos it is a very special place. Ilion Hotel offers a peaceful location, just 33 feet away from St. George Beach. Rooms have a balcony with sea views and a buffet breakfast is included in the rate. Charming hostess and lovely home-cooked goodies at breakfast. Everything simple clean comfortable and peaceful. This hotel is ideally located on the slope side of the Venetian Castle, right in the heart of the old city. Marcos who managed the property was a wonderful help collecting us from the ferry, suggesting things to do, places to eat, making us breakfast. Polis Boutique Hotel offers rooms in Naxos Chora near Naxos Castle and Portara. Excellent service and staff and owner super friendly. The room is spacious and comfortable. 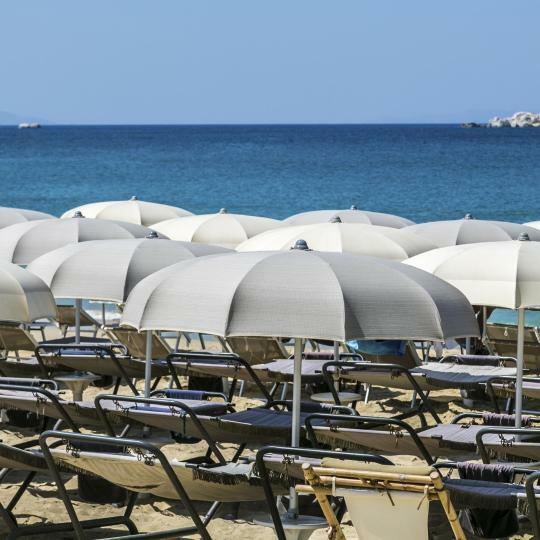 Just 33 feet from the beach, this award-winning hotel enjoys a beachfront location on the spectacular Agia Anna Beach, one of Naxos’ most popular sandy beaches. Ms. Poppy and her staff are amazing and make you feel so welcomed. They are very accommodating. 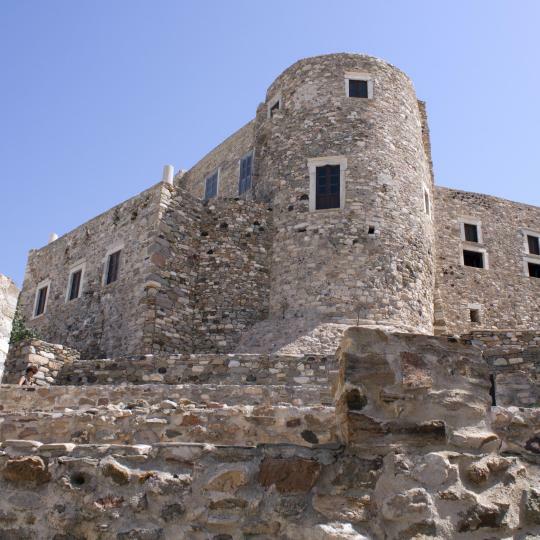 Saint Vlassis is located in a quiet and peaceful area, only 2297 feet from the center of Naxos Town and 1312 feet from the sandy beach of Agios Georgios. My husband and I spent 2 days at the St. Vlassis. Ilion Hotel offers a peaceful location, just 33 feet away from St. George Beach. Rooms have a balcony with sea views and a buffet breakfast is included in the rate. Charming hostess and lovely home-cooked goodies at breakfast. Anatoli Hotel combines the Cycladic architecture with a modern style. It features free Wi-Fi, an outdoor pool, gym and sauna. 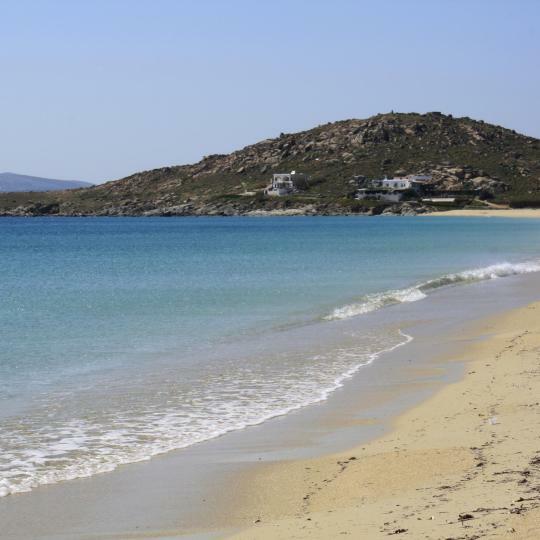 It is a 7-minute walk from the center of Naxos and Agios Georgios beach. Great family run hotel. Nice pool, great breakfast, friendly staff. Located right on the sandy beach of Mikri Vigla, the Cycladic-style Orkos Beach Hotel features a spa center, and an outdoor pool surrounded by a well-tended garden. Excellent location, perfect swimming/sunbathing beach just a 5 minute walk away. In Naxos Island, only 98 feet from the beautiful sandy beach of Saint George and at a very convenient point, Hotel Galini is one of the most hospitable accommodations of the area. Galini Hotel is the place to stay. We had an amazing 3 day stay. Hotel Katerina is just 492 feet from the sandy beach of Agios Prokopios. It offers a beautiful pool area with sun loungers and air-conditioned rooms with private balcony. Excellent staff who were very helpful at all times. Located in the seaside Apollon Village of Naxos, just a 2-minute walk from the beach, Adonis Hotel offers air-conditioned rooms with furnished balconies overlooking the Aegean Sea or gardens. I was missing a light for reading in the bed. Surrounded by beautifully kept gardens and a lovely pool and terrace area, Lianos Village is the perfect place for a relaxing getaway, just 5 minutes’ walk from the sandy beach. From the moment we arrived, we were treated like royalty. Offering high-standard accommodations next to the beach to those wishing to enjoy the natural beauty of the island, this is an ideal hotel for relaxing holidays. Overall Perfect. Eleni and Lambros are wonderful person and always available for the guests. Located in Agios Prokopios and fitted with an outdoor pool with jetted tubs and sun loungers, Melidron Luxury Hotel & Suites offers a fitness center. 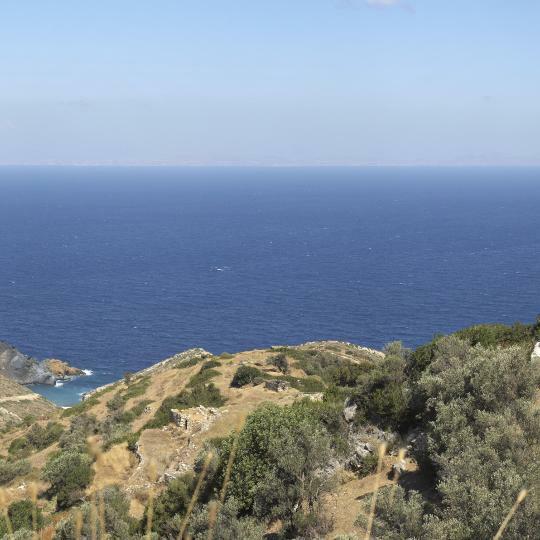 This brand new property in the St. Prokopios region of Naxos is a hidden gem. Offering an outdoor pool, Diamantis Studios & Apartments is located 820 feet from Mikri Vigla Beach. The property features a snack bar and offers shuttle service upon request. Balcony and pool. Great location. Great staff. The Cycladic-style Delfini Hotel is centrally located in Naxos Chora, within 131 feet from Agios Georgios Beach and just a 10-minute' walk from the port. This place is all around awesome. The hosts are first rate all the way. Just 66 feet from the long, sandy beach of Agia Anna in Naxos, the Cycladic-style Theofanis Studios features a furnished sun terrace with BBQ facilities and provides free Wi-Fi throughout. This is basically a gem. I'm not sure where to start. Miss Maria was so kind to us. Within a few yards from Mikri Vigla Beach, Villa Paradise in Naxos offers self-catering units with furnished balconies overlooking the sea. The villas are amazing, very well done. This fine example of Venetian architecture was the town’s acropolis, built during the Middle Ages. Locals still live in the mansions surrounding it. 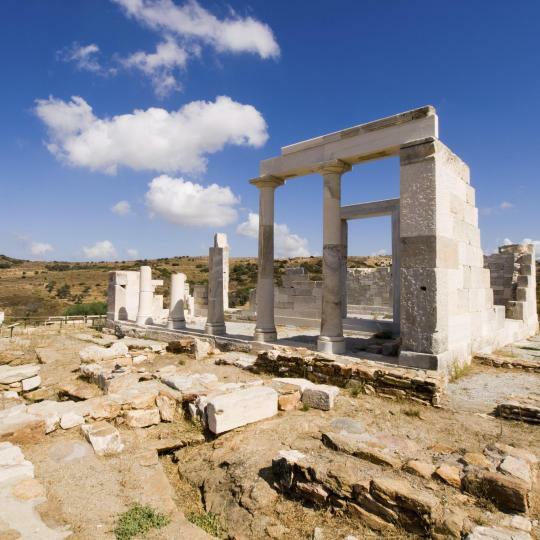 This imposing temple entrance has watched over Naxos Harbour for 2 millennia. The 6th-century monument has become an icon of the island. The seemingly endless Agios Georgios Beach is a popular spot for both sun worshippers and windsurfers. Agios Prokopios doesn’t just have crystal-clear waters and golden sands but is also home to unusual, red-coloured lakes. 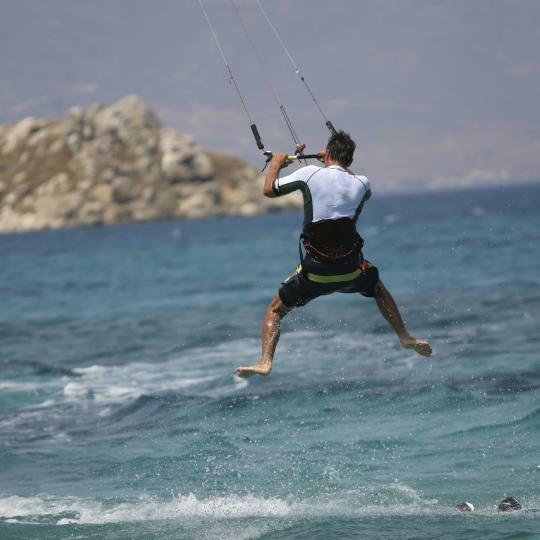 This kite and wind surfing hotspot is famed for its golden sands, wild landscape and Cycladic architecture. 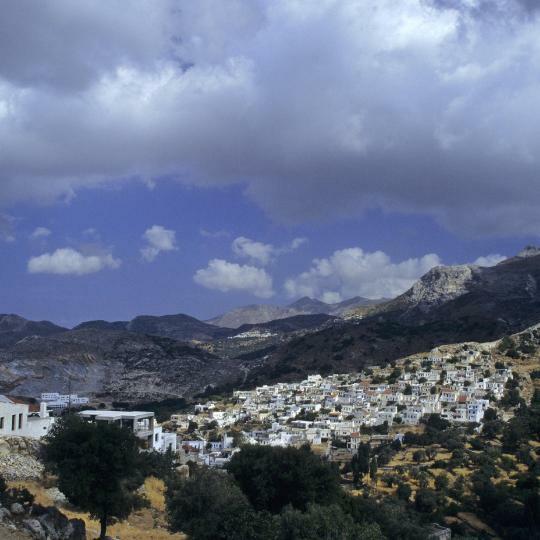 Set at a 650-metre altitude, this village is on the slopes of Mount Fanari. Its architecture and layout have remained almost untouched since Venetian times. One of the island’s most picturesque villages, Filoti is surrounded by valleys and features charming Cycladic architecture. This museum’s rare exhibitions include marble and pottery dating back to 5000 BC. Excavations have taken place on the island since the end of World War 2. Named after the goddess of agriculture, this striking temple dates from the 6th century BC. Archaeologists resurrected the temple from ruins found in the 1970s. This 17th-century tower is a former look-out post which sits on the north coast. It offers a striking Venetian design, which is replicated throughout the island. Lygdamis Hotel is actually a pension, located in the city of Naxos, very close to the harbor but still in a quiet neighborhood. We booked for a budget studio that we learned (at the time of the arrival) that it is located in the semi-basement floor - so it is good to keep that in mind! The room was ok, equipped with a compact furniture (small kitchen stove top, freeze, and a water sink). Bathroom was missing a shower curtain. Semi-basement had sometimes a musty smell but that could be because of the specific period (April with many rains). Such a darling and quaint hotel. The location was PERFECT .. not in the middle of town but it was an enjoyable short walk with many shops and sites to see. The castle is amazing. We were always drawn back to walk through the pathways ... finding different shops each time we went to visit. Amazing photos are at every turn. The people are lovely here. AND! .. the chocolate croissants are worth every bit of fat and calories! Would love to visit again ... both Naxos and Hotel Poseidon. The hotel was an absolute dream! The staff were so sweet and welcoming and even sent us a bottle of champagne to celebrate our honeymoon. The late night room service was so delicious and affordable! this hotel made us want to come back to Naxos to explore. It is about a 15 min walk to the port, with the walk being lined with so many great restaurants, grocery stores and motor bike rental stores. We couldn't have been more happy with our stay here, it was amazing! The rooms were very clean and spacious. The best part of the property was the staff. They were very accommodating when the ferries were not operating and we had to spend an extra day in Naxos. She offered to help us in anyway she could. She arranged to have a rental car delivered to the hotel and also had someone pick up and drop off our laundry. Her brother picked us up at the ferry and delivered us back upon our return. Could not ask very better service. James was great - met us at the port and helped with our luggage as he showed us to the apartment. The apartment was stylish, comfortable and well appointed in a great location in the middle of the Labyrinth in Naxos Town. Air conditioner was great, shower was comfortable, tv has Netflix so you can log into your own account, bed was comfortable and kitchen had all the basics. Would definitely recommend to friends and would stay again! the view from our balcony was great. The beach this hotel was on was beautiful with very shallow waters and beautiful sunset. The manager was very nice and helpful. Breakfast was also pretty good and you could choose from the a la carte menu and this was included. Naxos was a great town and the other beaches around are fantastic and only a bus ride away. The owners and staff are the perfect hosts! We feel like we are the only guests at the hotel, although there are 15+ other apartments. Fresh fruits and homemade pastries are hand-delivered daily, and excellent recommendations are offered based on our interests. We will stay only at Evilion on future trips to Naxos. 10+ rating! Ioanna was an amazing hostess, and the Orion Naxos Hotel was exceptional in every sense of the word. Excellent home cooked breakfast. The grounds are well cared for and rooms are very attractive. We were in Greece for 3 weeks and stayed at all types of places, this was the best and most memorable. Spacious, clean and comfortable apartment in a family building well located in the Naxos town. We did not meet the host Eirini upon arrival or during our stay, but her sister Jeny lives upstairs and very kindly assisted us with several maintenance related problems. Naxos Dreams Hotel was fabulous. It was right on the beach in a nice peaceful street. Very close to the main part of town (2min walk). It was really lovely to be provided with breakfast everyday on the balcony. Staff were great and always willing to help out. Excellent location a short walk from the centre of Naxos town, the apartment was spacious and clean and perfect for our needs. A kettle was an added bonus meaning we could make our own coffee in the morning! Excellent value for money. The family that owned the property were very nice. It was in a great location, very close to the beach and close to the Naxos town. The family transferred us from the port to the hotel which was really nice. Outstanding customer service beyond expectations. Manoli saved our Greece trip by warning of a ferry shutdown on our next night so we left Naxos a day early. What hotel does that? Love Manoli & Athena. Amazing breakfast and great little touches, everything was perfect here. Best hotel we stayed at in Greece. Good home base for Naxos, especially if one plans on driving to the rest of the island. Charming, clean, newly renovated room. This is our second stay at this hotel and it is amongst our favourites in Greece. Very close to everything in Naxos Chora. Our hosts were very kind & responsive. The apartment was spotless & stylish. 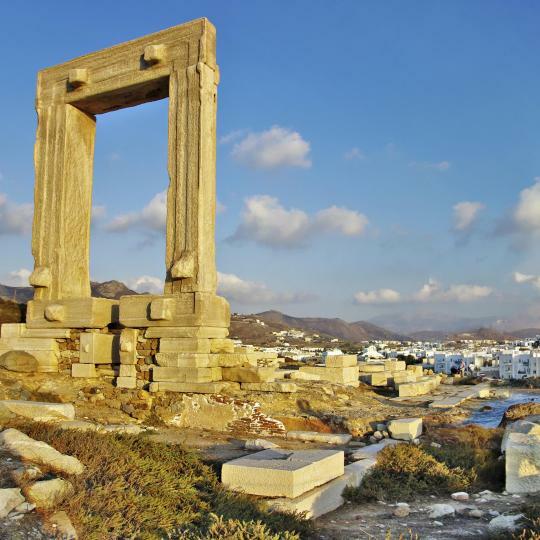 It was a great home base for exploring Naxos. Free room service and regular exchange of towels. Beach service very good.